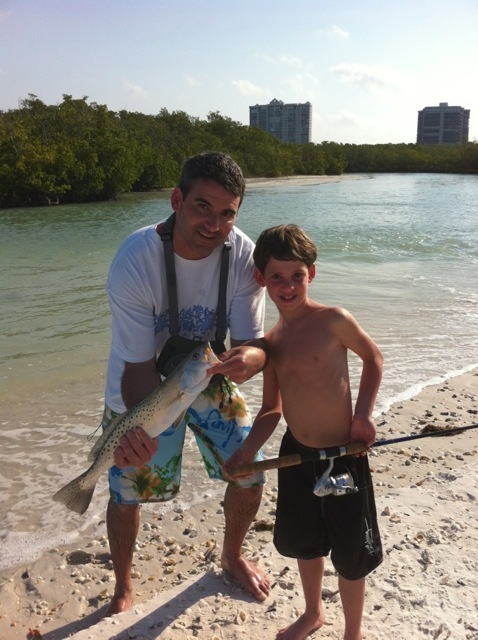 Naples and Marco Holiday Fishing Report from Capt. Roan z. Let us start by saying I hope everyone is having a great Holiday season. The weather in Naples and Marco has been nothing short of spectacular which has made the fishing much the same. I know everyone likes a white Christmas but I am happy when we can catch Tarpon and Snook late into December. Awesome! Fishing in December has been nothing short of phenomenal. It seems as if we have been having the best of both worlds winter species like Pompano, Trout, and Redfish creating a mixed bag with Snook and Tarpon, wow can you believe it. The only bummer has been some sporadic patches of Red Tide. It really hasn’t affected the fishing much but you can tell it is there on occasion. Let us start with the winter species. 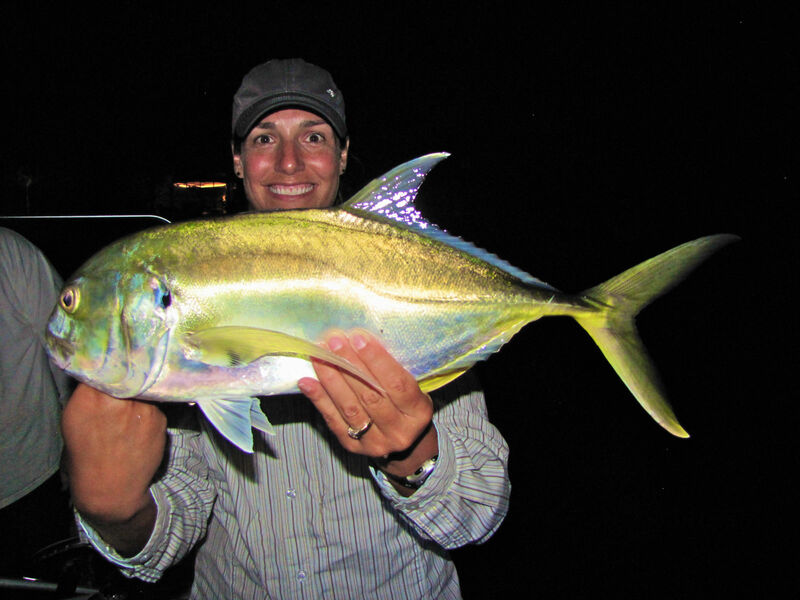 The Pompano have been excellent especially down toward Marco. The passes and the flats near the passes have been the best places. The early morning incoming tides have been bringing them in. Tipped jigs and sinking flies have been banging them along with Trout and a fair amount of Sheepshead. The Reds are scattered just about everywhere. We are sight fishing them on all the flats and they are crushing some small shrimp like patterns. Especially a new one that we came up with this year. CJ super shrimp. Available at the new store at Naples Bayfront. It doesn’t seem to matter what color, they come in four. Along with the Reds the flats from Naples to Marco are also producing nice Sheephead and some scattered Trout and even a few Snookies. The fish just seem to be lost I am sure it is due to the unseasonably warm water temps. 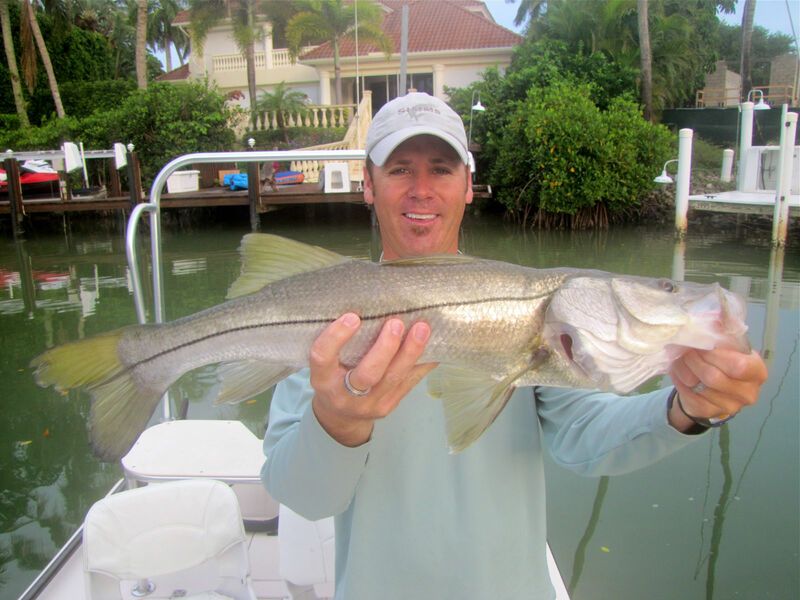 Fisherman that are venturing into the Backcountry Creeks around Naples and Marco are finding some great Snook and even some small Tarpon are still showing themselves. 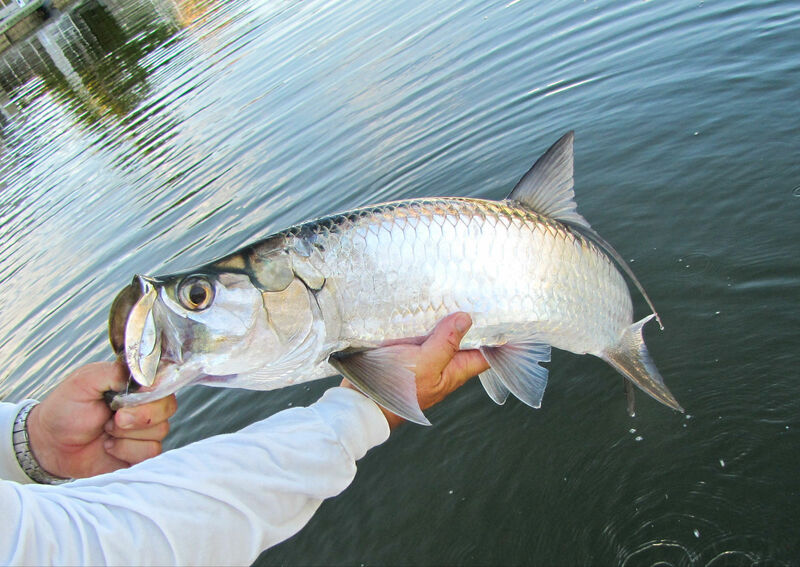 Strikes for the Tarpon are at a premium but keeping the fly in front of them will get them to bite. Snook are a little finicky on the fly except under the lights which are out of sight. The Snook in the backcountry creeks are biting but like I said a little confused, they are moving around a lot because I think they are wondering where the colder water is. There are even a scattering of Reds back there along with some nice Snapper. Bass Fishing in the canals have been sporadic. Interceptor has been the best, along with the Golden Gate. Still some Peacocks hitting there. I cannot say enough about the beautiful weather we are having let us hope it continues. Here comes the New Year, and what should we see for fishing in January for Naples and Marco. Well, this is a good question and one that will be hard as heck to answer. If the weather holds and we have mild temperatures it should be the same. I would not bet on this though. Sooner or later these fronts are going to start streaming this way and we will be into full bloom winter fishing, MAYBE. Let us hope for the best and be prepared for the worst. I think it will be a wormer than normal winter but we are still going to see some cold. If we get cold the most important thing to remember and I believe I say this every year is to just slow down and keep your offerings close to the bottom. That is where everything will be. Sinking lines for fly anglers and weighted flies, and for conventional tackle the jigs will be king. One last thing, just wanted to let you know we have opened and Indian Pass Outfitters South location. It is at Naples Bay Resort on the Gordon River in partnership with the Ships Store. We will be carrying most of the TFO Fly product line including specialty flies tied by local fly tiers. We also will have the new Spinning and Baitcasting Rods by TFO and Gary Loomis. Please come by and check it out. We are almost completely stocked with gear so come on by after the Holiday and check it out. Well I hope all are having a great Holiday and hope to see you after the 1st of the year. Merry Christmas Roan z. Well, October is about over and the Long awaited RedSnook Tournament is over. Two days of fishing as hard as anyone can. Just want to congratulate the Tournament committee that really did a wonderful job putting on the tournament and a special thanks to all the contributors to the tournament. They raised over $100,000 Dollars this year. To all the Tournament competitors that participated congratulations and great job at all the fish everyone landed. 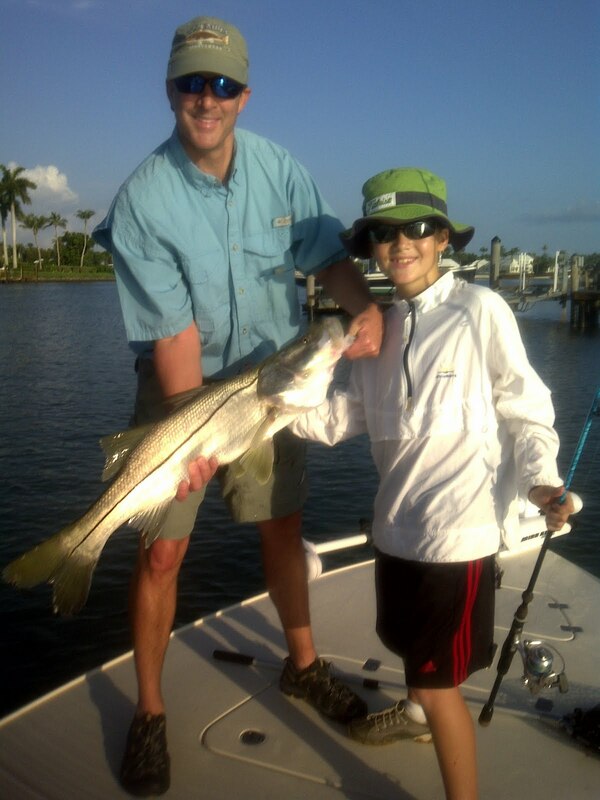 Congrats to the Cabada team for the 41 inch Snook and the Capt. Root Team for the 28 inch Redfish. Congratulations for all the division Team winners. Capt. Bruce Jackmack, Capt. Bill Faulkner, Capt. Kevin Mihaloff. I also have a very special congratulations to my young team of anglers. Even though they finished second overall and first in Junior Division they fished their butts off for two days. The two Brothers overcame a tough first day to pull out the second place finish the second day. They did not get down they just fished harder and landed some beauties the second day. Congrats Oliver and Alex. The fishing for the end of October is about on course for a regular year. 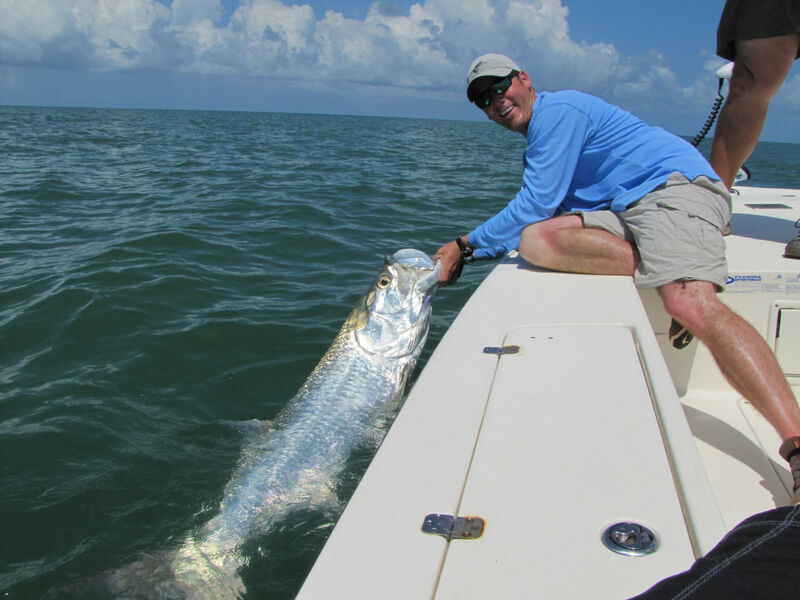 We have some Tarpon still migrating back south, lots of bait on the inside and outside with lots of ladyfish and Mackerel showing in the passes and along the beaches. Snook are scattered a little bit of everywhere. The last couple of days my anglers have caught Snook in the Passes all the way back to the farthest creeks. Redfish have been in most of the bays and some nice tailers on the low rising tides. Check out Cannon Bay it has been red hot on the low tide. Jig fisherman are picking up a few pompano along with a trout or two. The passes have Tarpon early and late. Sound pretty good, Huh. My guides that Are running some bass trips are starting to catch them pretty good in Okeechobee and in the Interceptor Canal. The water along 75 is still a little High. I hope everyone is ready for November. It looks like it is going to be pretty good. If we can get this Tropical stuff out of here and figure out what the Cold fronts are going to do. November is a weather related month. What I mean is good weather good fishing, bad weather bad fishing. Forecast looks for a little cooler than normal. This would suggest our winter type species should become more prevalent like Trout, Pompano, Ladyfish, Jacks, Sheepshead, and Redfish should be picking up the pace. Tarpon, Snook will be getting more difficult to target. If the cooler weather does not materialize then we should still be in a late summer pattern with lots of bait and loads of Snook and Tarpon around, only time and the weather will tell us. No Albacore coming though yet but I would expect it at any time. Bass Fishing will be good all month. This is also a pretty good month for Peacocks in the Golden Gate. Hopefully they will do some work on the Hydrilla this year. Good luck and Good Fishing. 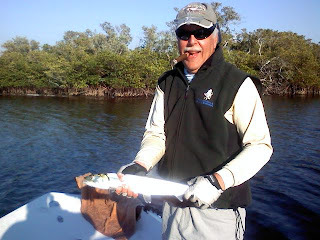 Pictures of Hal Rosen with a nice 32inch Redfish and Large Sheepshead he caught on his new TFO MiniMagnum Fly Rod. Fishing at the end of September was wonderful. Few boats and lots of fish to catch. Weather was a little moist but in between the rain drops the fishing was fabulous. I would expect continued good fishing through October and into November. 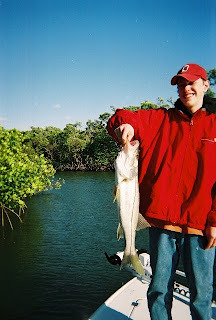 Snook, Tarpon, and Redfish should be plentiful from the passes into the deepest regions of out back country. Red fishing especially in the bays and along Oyster points nearer to the outside passes should be spectacular, We have seen much greater numbers of redfish this year since the Snook die off a year ago. I would expect to have a banner Redfish year this fall with large schools sticking around longer than they used too. 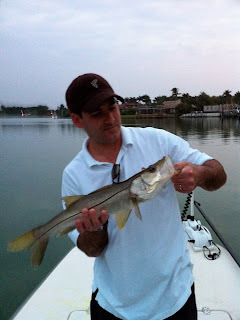 Snook fishing around Naples and Marco is still awesome. Large numbers of small Snook and some larger ones thrown in for good measure. The Snook fishing to our south and North a little bit worse. Still trouble for the fish to our south and to the north. 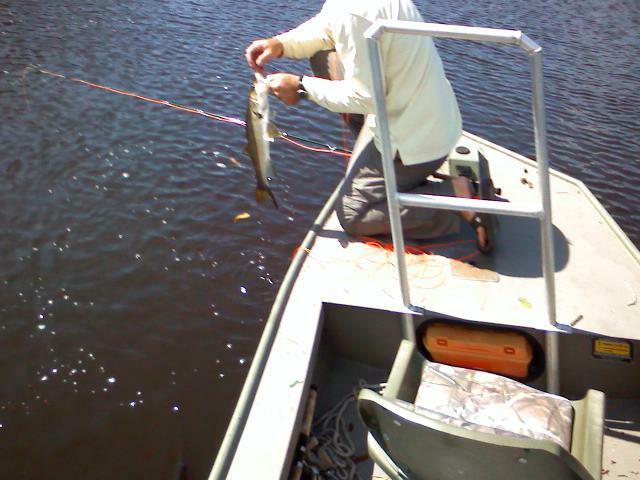 Catching Snook South of marco and through the Glades is not impossible you have to work hard for what you get. We will have to see this Fall how many fish show up in the backs of the bays in the Ten t and the Everglades. Still many of the fish down there are staying in the offshore waters. Tarpon have been in most of the passes along with the other species that move in this time of the year. Big fish on the outside and smaller fish in the backcountry creeks. Although we boated a 50 lb. fish in the back of a creek this morning. I would expect the fish to be here all this month and most likely most of next month as long as the water temps stay up. This is the time of the year that a lot of species are moving around, You will get the fall migrations of fish like Mackerel and Ladyfish. The Cobia and Kingfish will be showing too. Sometime near the end of the month into November we will have out three week run of False Albacore. Great fighter and they will be as close as 100 to 200 yards off our beaches. Look for the large flocks of birds and mackerel and the Albies should be there. If freshwater is your game then you need to start fishing, as the water cools the bass in the Glades canals will be hitting with reckless abandon to feed up before the temps cool down. Top waters should be the ticket. Good luck and Good fishing Roan z.
Whew, hot is not the word. Fishing is great as long as you are not out in the midday heat. Night fishing for Snook has been excellent, especially around Marco and Naples. Small white flies less than an inch long have been the key. Too large and they are passing them up. One our before dark the popper bite has been excellent also. Lots of Snook in the 20 to 25 inch range along with Snapper and Jack Crevalle have been eating them up. Morning fishing has been good also. If you are catching bait the Mangrove Snapper bite has been nothing short of excellent. We limited out in about an hour the other day. Plenty of Snook are biting along with the snapps. Most of the good fishing has been associated with the passes or rocks and docks near the passes. The inside fishing has been a little slow with the lack of rain we have been having. Rain has been moving in this week so it might turn things on again up in the creeks. I would expect the Tarpon bite to improve in the creeks with the new rain showers we are having. The outside fishing has been nothing short of excellent. Snapper and Grouper have been great on the near shore wrecks and reefs along with some great permit fishing on all the wrecks and towers. There have been a lot of Little Tunny or False Albacore out there also. Chumming on the wrecks have been bringing them up. Fast and furious is what it has been like if you get the bait to chum with. 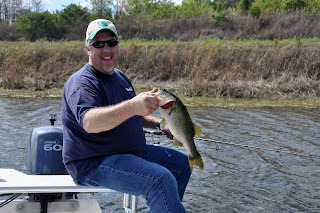 Bass Fishing in the Glades has been almost non existent which is the norm for this time of the year. It will get better as the water temps drop a little in the fall. Next month should see some great fishing as well. September is one of my favorite months to fish in our area. Very little boat traffic and lots of fish traffic make for very good outings. This is usually one of the best months for little tarpon as long as we are getting rain. Small white flies or white Jerk baits that look like dying shad are the baits of choice. Good Luck and Good Fishing. Capt. Roan z. Had a great time fishing with George and John. 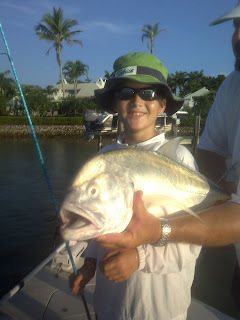 What a great fisherman 9 year old John is and will be. Next he wants to master the Fly. The two of them caught lots of Snook a few Redfish and a BIG JACK CREVALLE. John’s first fish was a 19 lb. Crevalle and his second fish in Saltwater was a 14lb. Snook. Awesome little fisherman. Thanks for going. Roan z. Sorry I have been a little lax on getting my new Fishing reports out for April, but I am back and will have them out the rest of the year. Fishing for may has been very good so far. May is fishing much like June. What I mean is I believe we are a month ahead on our fishing this year. Due to abnormal high temps the fish movement and migrations are running ahead of schedule. Tarpon have been in both inside and out for the last month. The only difficulty is that they have been moving fast and furious. I would expect that to take a turn for the rest of this month. The Tarpon should settle down and start working the flats. Look for them on the outside and in the Passes from Lostmans River to Boca Grande. In North Florida I think they will be showing up early also. I have heard reports of fish Already at Indian Pass and off St. Vincent Island. Snook Fishing is at its normal blistering pace for this time of the year. The lights are red hot, the Passes are chocked full from Marco North to Redfish pass to our North. Heaviest concentrations around Marco, Naples, and Bonita. South of Marco still a little slow but better reports are coming in all the time. It seems that the offshore and inshore fish are starting to congregate around the River mouths south of Cape Romano. I still believe Snook Populations are in rebounding condition. They are not stable yet and still need to be protected on the West Coast. When you catch one please release carefully and try not to let the Dolphins get them if you can help it. I hope they are going to keep the season closed for one more year. We have good numbers of fish but they are not back to where we are out of trouble yet. Redfish are scattered in and around Naples and Marco. Much better to our South and North. Good numbers being caught South of Everglades and North of Pine Island. In between a little week, especially the Ten thousand islands. This time of the year is Snook and Tarpon time anyhow and redfish catches are always incidental. Grouping Sea Trout into the mix look for them on the beaches and to the outside troughs and nearshore wrecks and reefs. Also incidental catch. Bass fishing in the Glades is probably over for the year. Big numbers anyhow. If the water rises and cools a bit with rain storms we could have a little rebound for the rest of the month. The fish are there but the water is hot and the fish a little lethargic. Early morning and late evening your best shots. June should be red hot fishing this year. Tarpon and Snook Fishing will be off the hook. Snook are already starting to spawn and they are showing up along beaches and passes to do there thing. Tarpon also are cruising along both inside and out. Small Tarpon that were scattered in may should be getting together with a little June Rain. Small Tarpon really got hurt last year in the Cold and again we need to be gentle with them until our numbers rise. Look to the passes and along the beaches for most of our fishing in June. 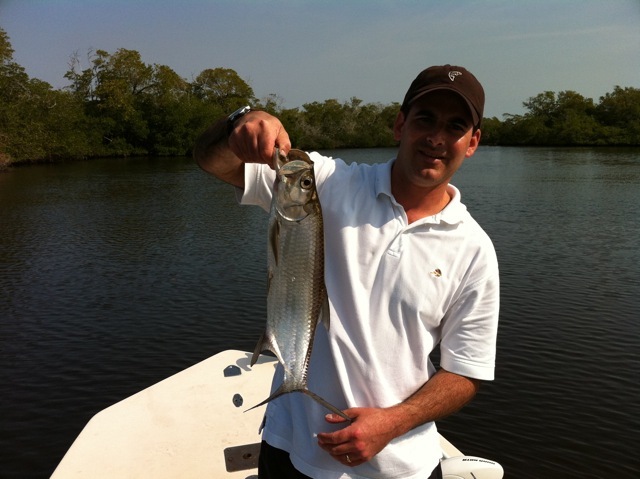 Congrats to Kyle Andrea for his first Snook, Tarpon, and Seatrout on Fly. Fishing in Naples and Marco is getting Awesome! February, What can I say, a far cry from last February weather. What a beautiful month it has been. 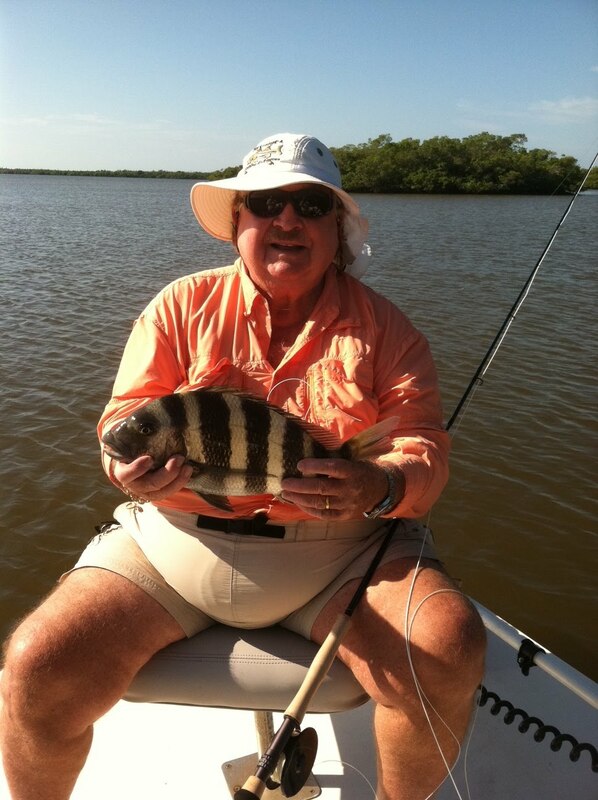 This is why we live and fish in Naples Florida. Fishing wise has seen some ups and downs though most were up’s this month. Lower than normal tides were making it tough for the big flats boats to get to the fish, but with my tunnel boat I was able to fish areas that no one was able to even look at for hours. Big Tarpon started to show up in there usual places the bays near deep water. They have been a little tricky to feed flies to but we had a few in the air last month and believe they will be even better next month. Yesterday was the first day the little ones started rolling in earnest and we jumped two in the 20lb. range. Anyhow I am not going to make this report long too much to write about. Lets just say if you missed the Start of good fishing in February you need to get in gear in March. March fishing this year might be the best we have seen in many years. The fish are just on fire. If you are looking for a meal the Pompano are invading the passes along with some trout and mackerel. The Snapper are starting to show on the near shore reefs and slowly making there way into the Passes. Still cannot keep Snook but man have they been hungry and getting even more hungry. I just do not know where I want to fish for them on a daily basis. I am catching fish from the beaches to the passes to the Bays to the Creeks. That doesn’t even cover the night fishing which on fly has been just, well words just cannot describe it. AWESOME!!! Anyhow, fishing this year looks to be very good. Including Bass and Peacocks in the Canals. Fishing the lakes in the glades the other day we had a slam in the first hour with a 28 inch Red and 25 inch Snook and a 12 pound Tarpon. Wow I love it. Bass fishing in the Glades has been excellent also, The canals along 75 have been producing near 100 fish days. I would expect this to continue and get better this month and into next month even better. All the fishing this month barring any late season fronts and high winds should be excellent. Go on get out and fish the time is right on all fronts. Roan z. 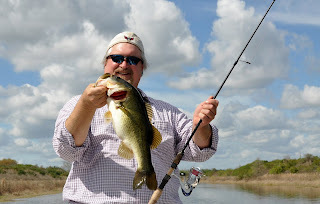 Great time fishing for Bass in The Everglades. 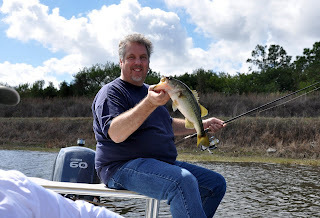 This is our second year in a row that the Burchick and Betz parents have spent an extended weekend of fishing in Florida. Last year was St.
Augustine and this year was Naples. We stayed at Patti's aunt house in Fort Myers. Thank you Joe and Judy! On Friday we fished in Big Cypress National Preserve, Everglades National Park. The shorelines of the creeks and canals included bald cypress with air-plant and Spanish moss, live oak, cabbage palm, saw palmetto, slash pine and the alien invasive Brazilian pepper. 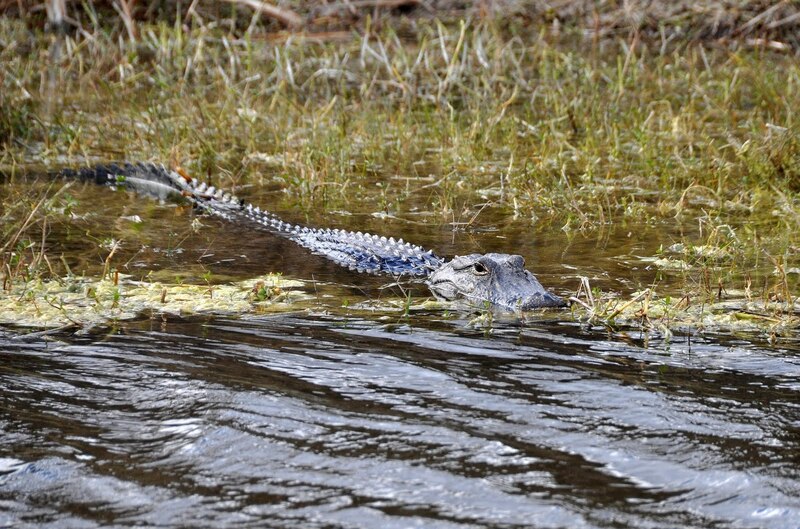 This area of the south Florida swamplands includes expansive remote areas and the Florida Panther Wildlife Refuge, all signs that we noted along Alligator Alley (I-75), the fenced toll road from Naples to Miami, to help keep basking alligators at bay! 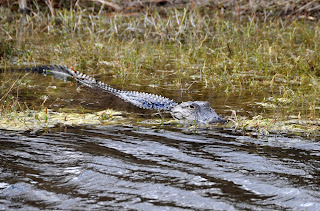 Needless to say that we saw many alligators up close and personal while fishing. Our professional guide for Friday and Saturday was Captain Roan ZumFelde, a life-long resident of Naples, who specializes in salt-water fly fishing, but will also guide for the orchids of the Everglades, during the peak of their bloom times, associated with air-plants. Roan got us on fish and Dan and I caught over thirty largemouth bass each for the morning of fishing. Does two applications of sunscreen 30 constitute SPF 60? We used a combination of top water, cranks and plastics. Our guide suggested that the pre-spawn will convert to bedding bass by the next new moon, if weather stays warm. The day time highs all weekend were in the upper 80's and the night time lows were between 68 and 70-degrees. Sweet! It was a birding bonanza. 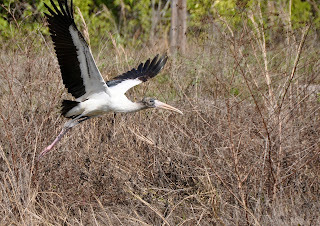 We saw kingfisher, brown pelican, cormorant, green heron, great blue heron, great egret, snowy egret, wood stork, white ibis, anhinga, red-shouldered hawk, bald eagle, black vulture, osprey and many a bird I could not identify. 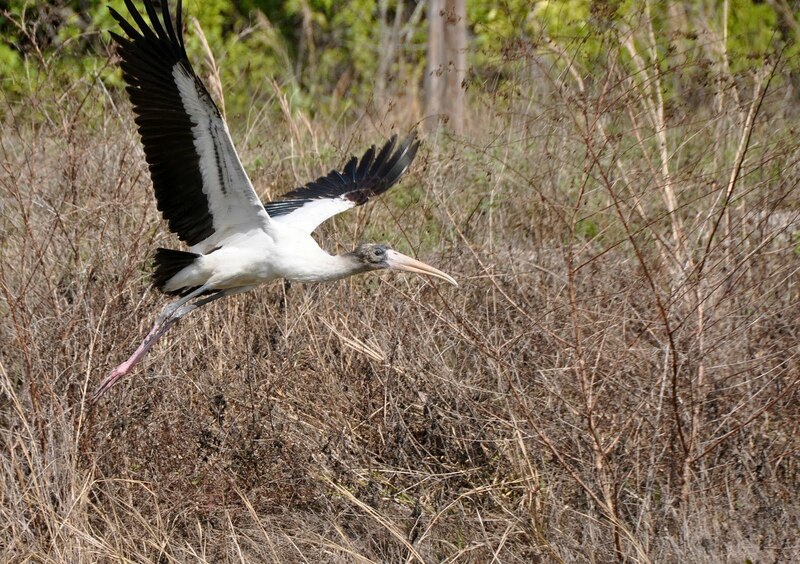 Dan saw three roseate spoonbills and waves of tree swallows would occasionally pass by. Fishing for January has been pretty strong all things considered. We have been fortunate not to have had the cold the rest of the country have been experiencing. lets all hope that we are not in for it in February. 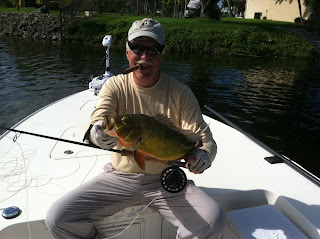 I hope we will have an early spring and all the fish will survive this year and 2011 will be an awesome fishing year. 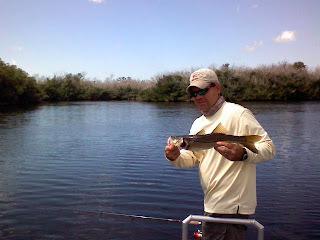 January fishing has been pretty typical so far, lots of little snook on fly in the back country along with a few larger fish. The last week with the warmer conditions the small Tarpon started to make an appearance. Redfish are eating flies sometime but seem to prefer a live shrimp or tipped jig. The flies that have been working the best for reds and Sheepshead have been small crab patterns and bonefish flies like Fiddler in the Grass and Brown gotchas tied on number 4's. Lots of Lady fish have been the norm both on fly and on Jigs. Along with the ladies are trout some keepers but many are undersized, Sheepshead and Whiting. All of which are taking flies if you can get to them. Sink tip lines and clouser type patterns are your best shot if not using tipped Jigs. 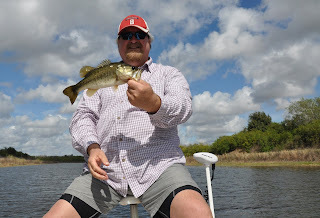 Bass fishing in the glades and in the Golden Gate system has been good not great. Small worms and small baitfish fly patterns with weedguards have been working on them. February looks like it is going to be a good one so far. Long range forecast shows it to be a cool one but light on freezes. Lets all hope this is true. Say a prayer. It would be nice going into spring without any fish kills especially for the peacock bass. If the weather stays the same we should have continued success for Trout and Whitting in the drop offs adjacent to the flats. Good Sheepshead fishing should actually get better and the Redfish will be happy and getting bigger maybe big enough to keep. 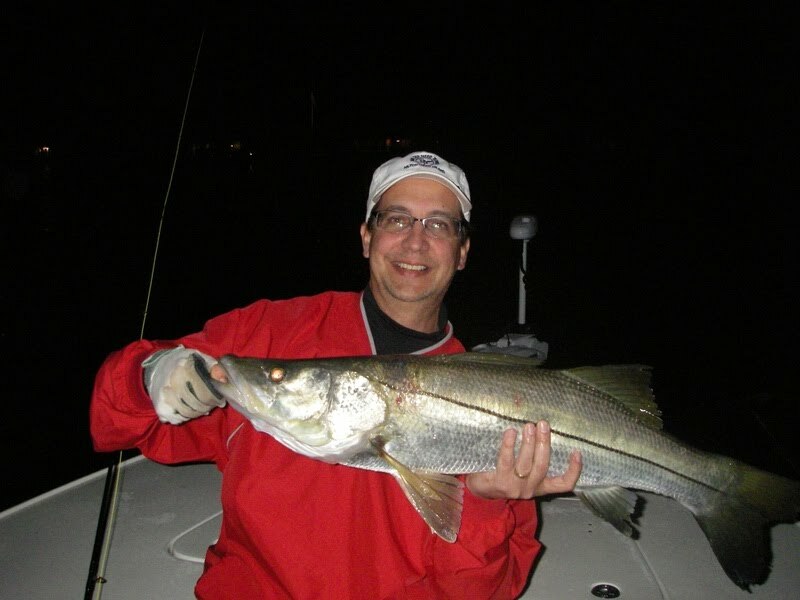 Snook fishing will stay spotty but the night fishing around the new and full moon should be outstanding. Tarpon will start to show if the water warms into the 70's. Maybe toward the end of the month the big ones will come out to play in the Bays near the Gulf. They will feed on fly and if you do not throw a fly a lucky 13 or something like it will work on them. 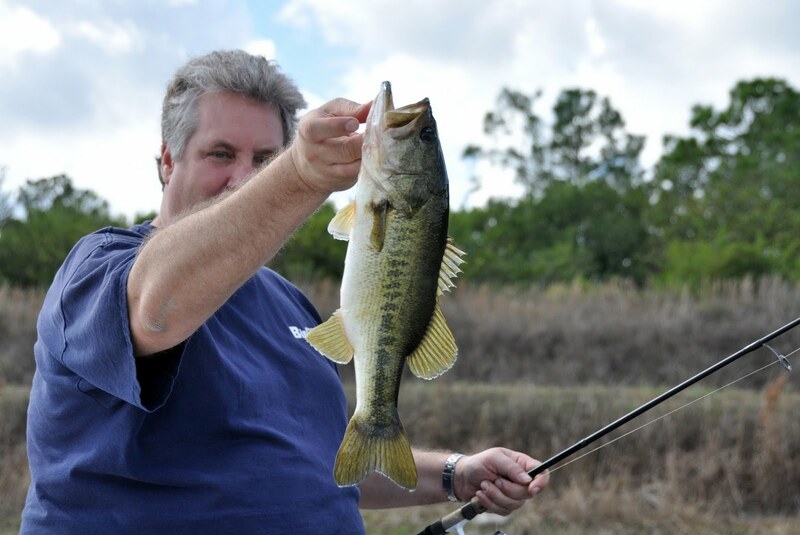 Bass fishing should make a break for it in the glades and really turn on. I would expect to start seeing hundred fish days on the Alley waters. The Peacocks might even turn on if the weather warms, they will be ravenous but the water needs to be in the upper 70's. I will be giving a talk about cold weather fly fishing at the BFF meeting this month at the Norris Center, believe second Monday of the Month. I will be talking fly selection and techniques to fish for coldwater fish in the channels and along the flats. Hope to see you there and give support to the BFF.